As we all aware about this fact that every year in cold weather, Our skin become dry and it is very challenging task to care for dry skin. Level of humidity gets decrease with drop in temperature, With which we start feeling about our skin that it is more tight than earlier. Today i going to share some important tips with you so that you can keep your skin healthy in whole winter days of the year. In cold weather you need to use face oil in place of all those moisturizers who are based on water. first clean your face and after that take approx 4 or 5 oil drops on your palm and apply it on your face even when your face is wet, you do not need to dry your face just apply these oil drops directly on yuor face. The benefits of Oiling your face is your face will protect from the freezing air in the winter season. Moreover it will work as conditioner and will seal you skin with moisture from cold air. If you want to increase in skin cells and get rid of old, dead, rough skin than the thing which is very much important for your skin is Exfoliation. Also it will create a layer which will stop dead skin cells to pierce your skin intensely. Anyway, exceptionally at that time your skin start feel very dry, remember to apply mild product on your skin but not again and again. Physical Exfoliater can provoke your skin which is already bother due to winter season so in place of using it you should go for a mild synthetical or chemical Exfoliator like face mask like strawberry or papaya which are based on enzymes of fruits, which are very helpful for dry skin. Avoid harsh cleansers containing fragrance, sulfates or alcohol, and opt for a gentle cleanser that has moisturizing properties. Harsh cleansers may disrupt the pH balance of your skin and cause dryness and irritation. Any cleanser that makes your skin feel "squeaky" clean is probably too harsh. If you wear makeup, swap your face wipes with a cleansing oil. ,Dipropylene glycol, Hexylene Glycol and Glycerin are some examples of humectant or moisturizing ingredients. During the cold or winter season the very common irritation for the skin you could face so here i am sharing some examples of them. 1. Rough Hands: Repeated wash of hands, dry and frozen air are big reasons for the roughness of your hands. 2.Redness over the nose: often we have seen many people in winter season with red noses. with the help of cleanser which should be mild, wash you face after wash apply face balm as Dermalogica Barrier Repair,Origins Make a Difference Ultra-Rich. 3. Cracks on Lips: Due to cold in winters our lips look not even very rough while very badly painful for us. To get rid of this problem everyday apply lip balm on your lips for the whole day and before sleep. Not to use those lip balms which are coming with aroma or Fragrances, it will create irritation on your lips. Use Lip balm that contain natural & organic ingredients. It is not only the reason of uneasiness, the reason of hand wash completely like it will not secure us from the illness due to damaged skin. Apply a mild cream on hands can carefully stop dryness, If you see your hands are more rough than normal roughness then i suggest you to go for soothing balm like beeswax and shea butter. i will recommend products of Kahina Giving Beauty for both your body and as well as for your hands. Drink a lot of water. You can also go for tea or take some honey if you are not feeling thirsty and not habitual of talink liquids, Because if you will not drink water or take liquids, cells of your skin will be dehydrated and cracks will be there on your skin which will be visible and it will ultimately look very dull which i am sure you all won't like. Take plenty of Soups which are homemade, Eat seasonal fruits and vegetables, with all these body will get extra liquids and nutrients which can secure our skin. Eat homemade soups, broths and plenty of local seasonal produce to provide your body with additional liquids and protective nutrients.if you are going outside then you must be aware of this fact that how cool the air will be and it will make your skin totally dry or rough. So, I would suggest to use Humidifier(device or instrument which creates moisture in room or in building) at your home. 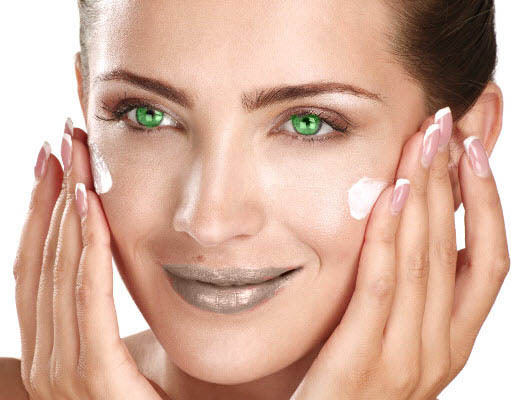 I hope you will like this article,Tips to take care about your dry skin. If, you like it then please share it and if you have any suggestions, queries or you have something which should be shared with whole world, Please ask or share via comments or you can directly email me at knowyourlifestyle@yahoo.com.